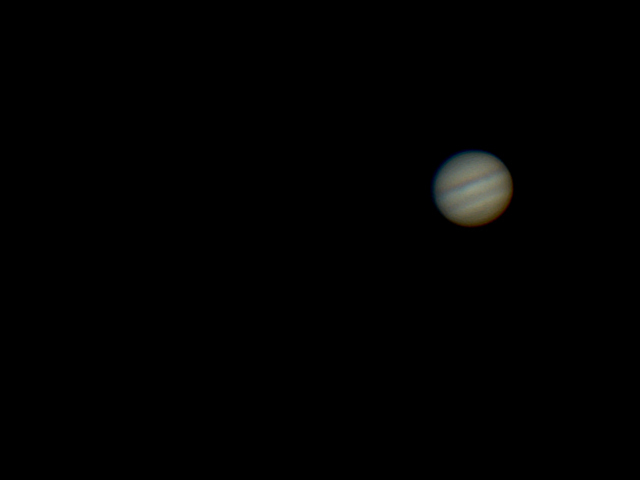 This image of Jupiter was captured by Chris Newsome through the Society's 10" Newtonian reflector at the Flamsteed Observatory on the 26th September 2009. He used a Meade LPI camera and the image is comprised of 208 frames. 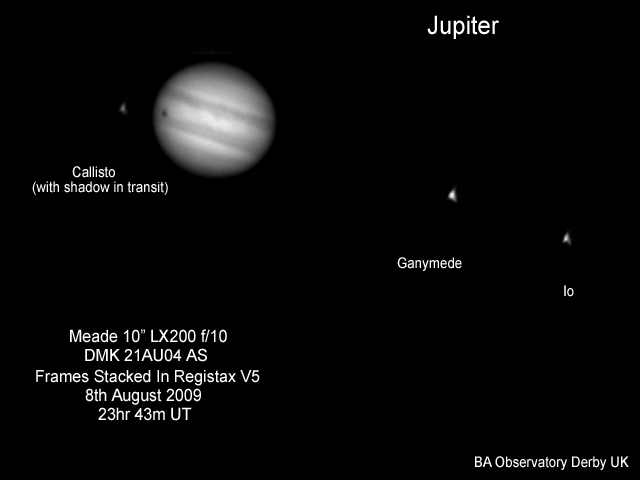 Chris Newsome captured this image of Jupiter on the 20th September 2009. 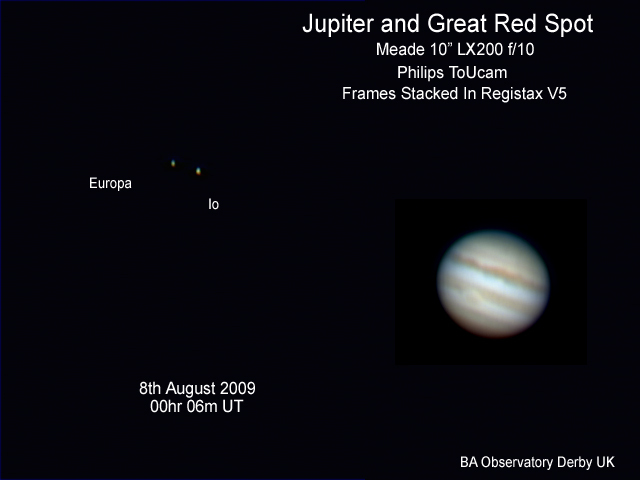 The Great Red Spot is visible to the upper left and (from left to right) the moons Europa, Io and Ganymede. The image was taken with a Meade 8" LX90, Meade LPI camera and 2x Barlow. 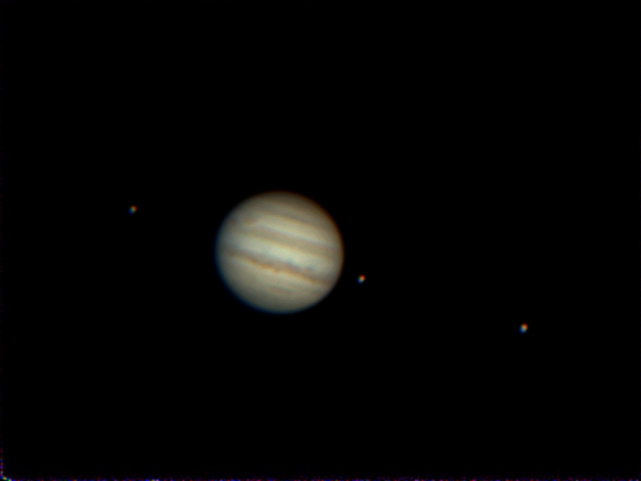 321 frames were stacked in Registax V5 and processed in CS2. 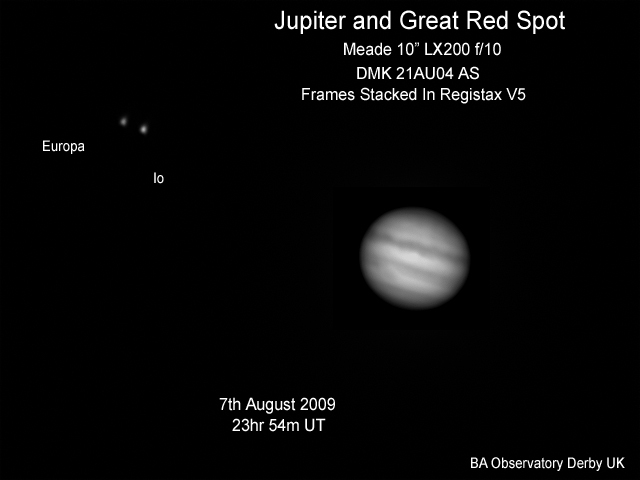 The following images of Jupiter and its moons were captured by Barry Ashforth in August 2009. 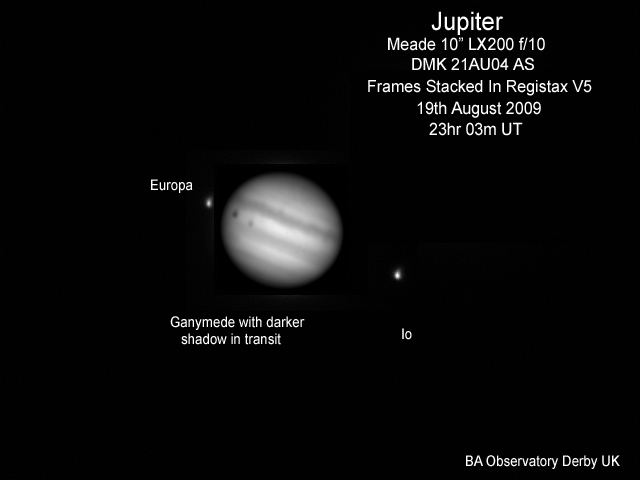 The following images of Jupiter were captured by Barry Ashforth on the 20th July 2009. 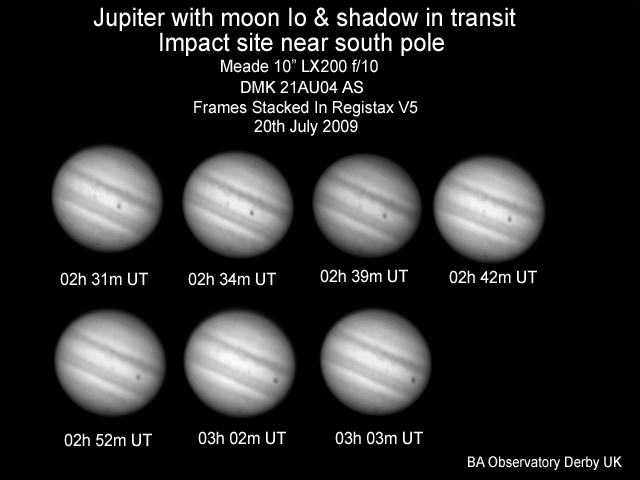 The images show the moon Io and it's shadow in transit, but also the site of the comet or asteroid impact that occurred near the south pole the day before.